Item # 245112 Stash Points: 1,295 (?) This is the number of points you get in The Zumiez Stash for purchasing this item. Stash points are redeemable for exclusive rewards only available to Zumiez Stash members. To redeem your points check out the rewards catalog on thestash.zumiez.com. 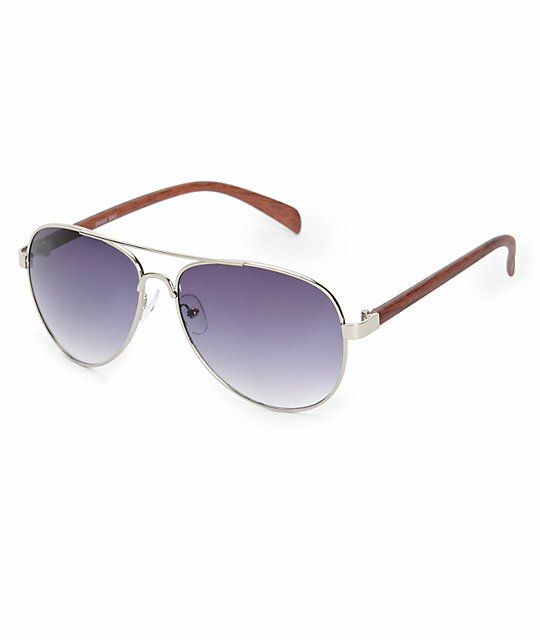 Finish off any look with some classic style in these silver metal wire aviation sunglasses that feature wood gran finish arms and tear drop shape lenses with UV400 protection. 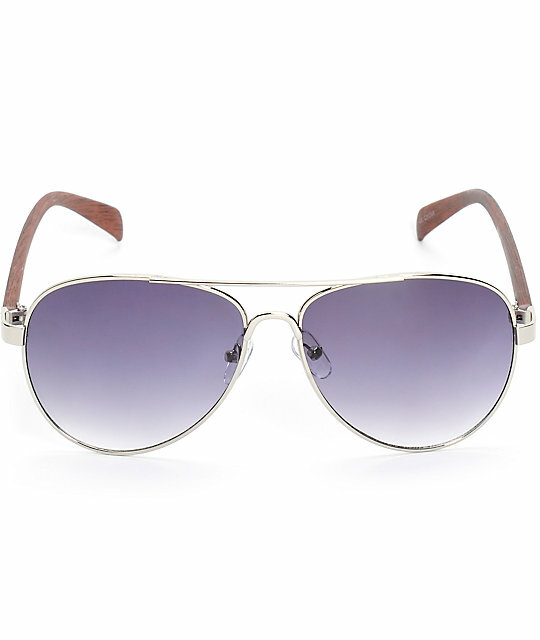 Dark tinted tear drop shape lenses. Rubber nose pads for comfort.